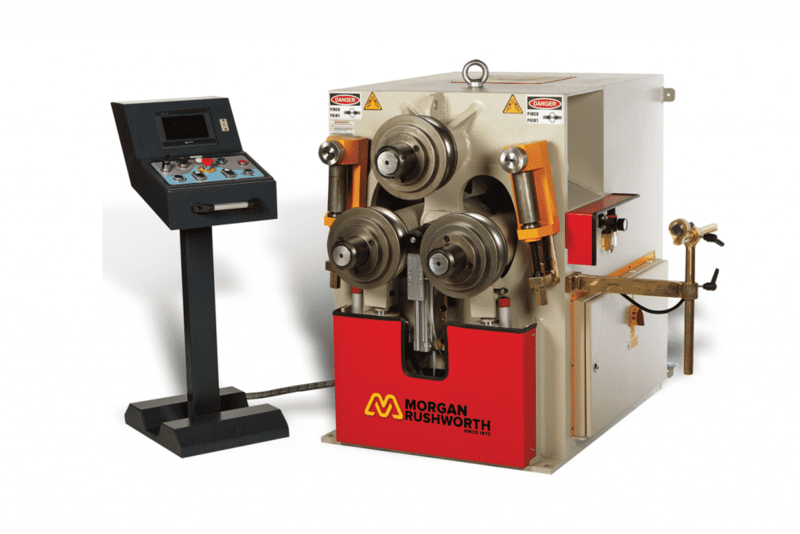 The Morgan Rushworth HSR-3 range of hydraulic section bending machines are designed to roll various material sections and are available with shaft diameters from 40mm up to 120mm. 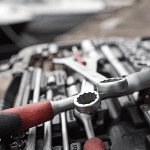 All models are equipped with twin hydraulic rams to position the lower rolls, providing pre- bending capability and the convenience of performing the bending operation with the material in the horizontal position. 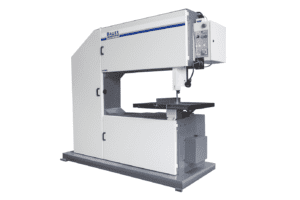 All of the HSR-3 machines can be operated in either the vertical or horizontal plane. 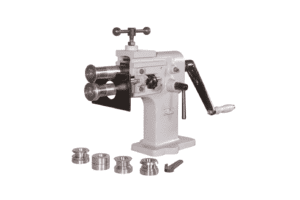 The standard rolls supplied with the machine are hardened and have been designed to bend most sections, with the exception of round tube for which tools are available as an option. 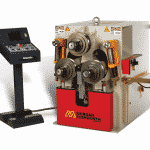 Lateral guide rolls ensure straight and true bending, or if required can be adjusted in order to spiral the material. 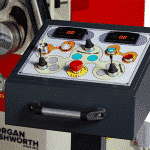 The optional Morgan Rushworth NC controller provides automation, greater control and increased production to section bending. 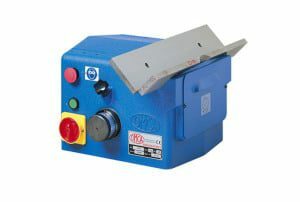 The controller can be used in manual, semi-automatic and automatic modes. 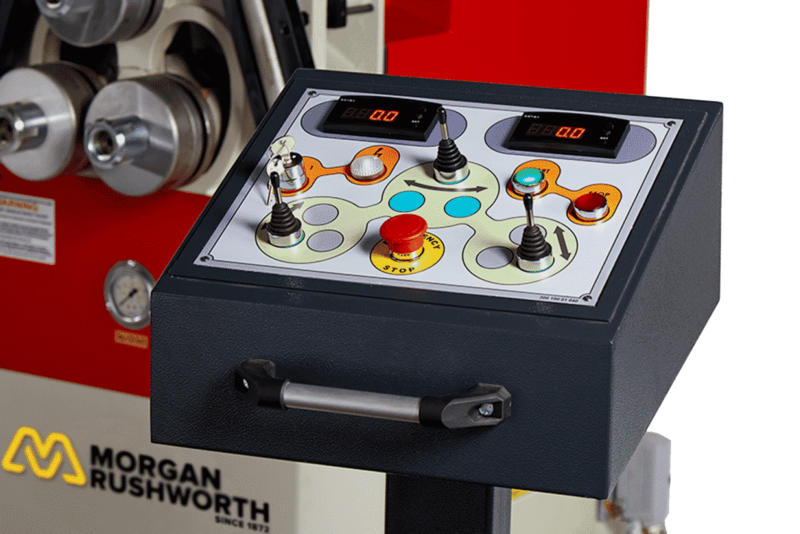 Roll positions are indicated on the control panel and in manual mode can be used similar to a conventional digital read out system. 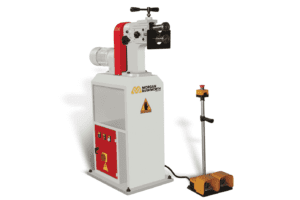 The controller can also be used in teach mode where the bending is carried out manually with all rolling and pre-bending functions recorded and then locked in the memory. If necessary the program can then be edited to fine tune as required. Alternatively a program can be entered line by line into the controller, carry out a test bend and again be edited if required. 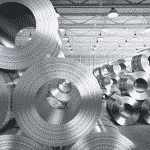 The NC unit has a 500 program capacity with up to 200 lines per program. 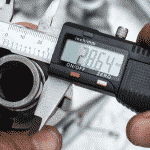 Program storage may be further increased with the use of USB flash memory. 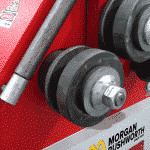 Please can you send me a quote and/or call me to discuss the Morgan Rushworth HSR-3 Hydraulic Ring Rolling Machine 415v in more detail.